The thrill of the hunt! 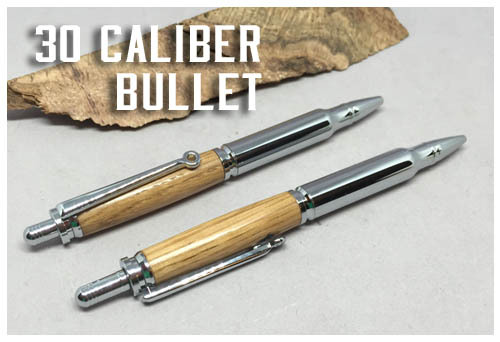 This pen replicates an actual 30 caliber shell. 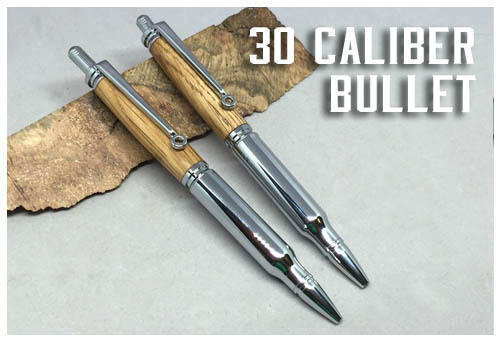 This Bullet style pen is a favorite of hunters, soldiers, sportsmen and more. A personal favorite of mine as well! This pen is loaded with a premium gel Parker refill, and the pencil (sold separately, or as a set) has a hefty 2.0mm lead with a sharpener built into the cap. 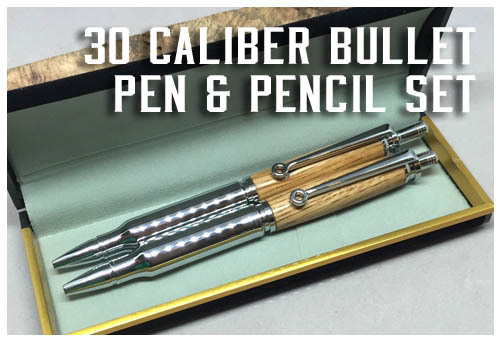 The Pen & Pencil set includes a gift box. Available in chrome (shown below) hardware, and your choice of wood "flavor." Refils are available at most office supply stores. Note: Pen and Pencil Set INCLUDES a gift box.